Kenny Jeremiah has been a beloved entertainer to the residents of Philadelphia for decades, but his fame has spread far beyond the City of Brotherly Love. During his 50+ year career, Kenny Jeremiah has entertained millions of people worldwide, sold millions of records, and gained the respect of his music industry peers. 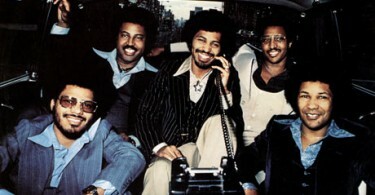 Kenny is perhaps best known as a member of The Soul Survivors, a band he fronted from 1964 to 1969. During his time with The Soul Survivors, Kenny Jeremiah toured with music’s finest, drawing in new fans at every performance. He collaborated with Big Brother and the Holding Company, Janis Joplin, Richie Havens, Eric Clapton, Smokey Robinson & The Miracles, and Jackie Wilson to name a few. While many Philadelphians know Kenny Jeremiah best through his work with The Soul Survivors, others remember him with the 70s hit group, Shirley and Company. Their 1974 hit “Shame Shame Shame” spent four weeks at number 1 on the disco/dance charts. 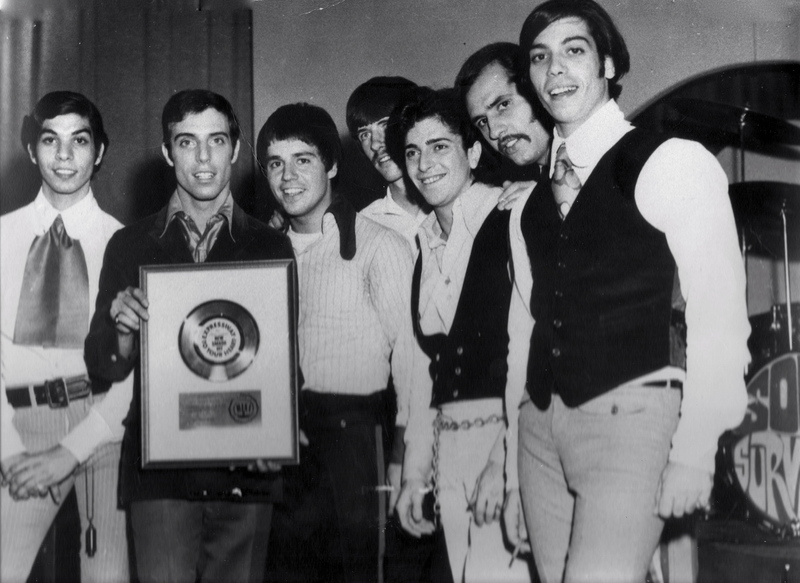 Disco music of the 70s enjoyed sold-out shows and million selling records, yet Kenny Jeremiah’s career was just taking off. He spent much of the 80s performing in the clubs and casinos of the popular Jersey Shore circuit, where his fan based continued to grow. For nearly five decades Kenny Jeremiah and his fellow musicians have delighted fans on a global level. This world-famous musician has followers in many countries, and is still one of the most popular performers on radio. 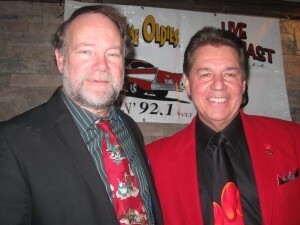 Kenny Jeremiah, along with Pepper Paul hosts the “Rock & Soul Radio Show” on Vineland New Jersey’s 92.1 fm WVLT. It airs every Tuesday night from 10PM-11PM. The show also airs worldwide on wvlt.com. Kenny Jeremiah has displayed the kind of staying power that is often rare in modern music. One of the many attributes distinguishing him from musicians with shorter careers is his ability to connect with audiences. 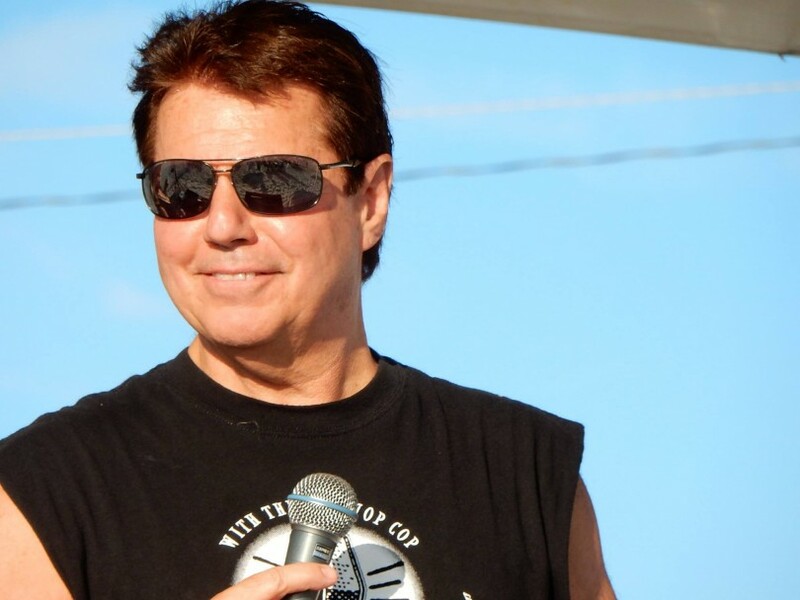 While one-hit wonders have hit the big time and flamed out just as quickly, Kenny continues to delight new audiences and make new friends decade after decade. This enduring legend continues to thrill audiences along the mid-Atlantic seaboard as he performs with the Jeremiah Hunter Band and the duo Bittersweet. Kenny Jeremiah is dedicated to outstanding showmanship and stage presence, as well as superior vocal performances. His live shows combine the energy of a rock concert with the production values of a studio album – a feat that few performers can pull off on a consistent basis. With his combination of talent and boundless energy, it is no wonder Kenny Jeremiah has enjoyed such a long career in an often short-term industry. If you are #hookedon Kenny Jeremiah like us, click here for a list of downloadable recordings and CDs. 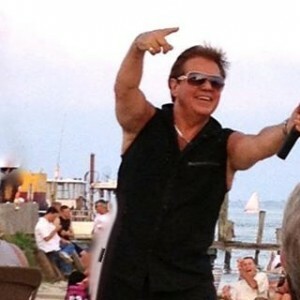 Join Kenny every Friday night at Joey M’s LaPiazza in Wildwood, NJ. Kenny also performs the first and third Wednesday each month at Racks in Williams Town, NJ. You may also enjoy reading another article about the legendary man, Kenny Jeremiah Kenny Jeremiah – what’s new? 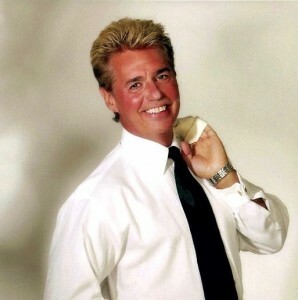 For a complete schedule of Kenny’s events, visit his official website or connect with him on Facebook. For more articles on other great entertainers, check out Hooked on Entertainment. I Have Known Kenny Jeremiah for a Long Time. I have watched this Man’s Career From Day One..And I Have seen Him Explode Into One of The Worlds Best Entertainers. On Stage He Gives You Nothing Less Than His Heart & Soul. You Can Absolutely Feel What He Is Singing. He is a Legend To All His Loyal Fans, And He is Referred To As “The Prince of Entertainment”. I am Extremely Proud To Be One of His Good Friends. Always Wishing Him Continued Success. I’ve been following Kenny since his days with the Soul Survivors and he still hasn’t changed. Not only does he look and sound great he still has the moves of a 20 year old!! Seriously, my husband Monk died 2 years ago and he loved going to see Kenny perform as much as he could because it made him feel better. He was so sick with cancer and Kenny always treated him so good. After we would come home from a show, he would talk about Kenny instead of complaining about his illness. God has blessed Kenny because nobody his age can dance like he does. Kenny, just wanted to let you know that I’m single now if you are interested. I don’t think Monk would mine…. Hi Jude, Thank you for sharing how Kenny has personally touched you and your family. The more and more I have gotten to know him, I feel that he is the most down-to-earth “REAL” person who has amazing talent to share with the world — it seems to me that he has always been that way — true to himself — indeed a rare breed and an honor to know. No One Is More Deserving of This Glowing Review and Tribute than Kenny Jeremiah. He is The Hardest Working Man in The Business. He Has Accomplished Every Aspect of The Music Business. All His Friends Refer To Him as “The Prince of Entertainment”…And Trust Me,,,He Has More Than Earned That Title. Kenny is not only a talented and simply wonderful performer but a dear friend as well. We have shared the stage many times and Kenny never disappoints his audience! He’s the guy who can do it all. It’s because of that his many fans adore him. Back on the corners of South Philly (where I hail from) the best thing a guy could hear was that he was a “Stand up Guy”. That meant he was the real deal, nothing phony just all good. Trust me Kenny is that Stand up Guy!! Love this guy. Who in their right mind could rerecord Teddy Pendergrass songs and pull it off with perfection. 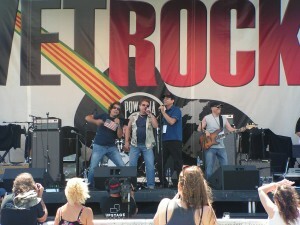 Bob Pantano plays Kenny stuff a lot at Adelphia and the crowd goes nuts! Definately a Philly Icon!! Hi Tom, you are so spot-on with your comment. Crowds do go nuts. We’ve also posted articles about Bob Pantano, Lou Costello and the Adelphia Restaurant & Night Club on this site. Thanks again for commenting. Hi Maria, I am getting “hooked” on Kenny Jeremiah through his video clips and his website which are so easy to really learn about his life and career here. Incredible talent and voice!! 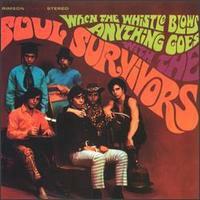 I remember Kenny from soul survivors he is always amazing…the article is worth praise too. We love you, Kenny!!! Representin’ the 20 – 25 year olds. It is hard to keep up with your dancing skills! I have not stopped hearing about you bringing the FUN factor! It may very well be a new slogan for you, too. This guy is incredible, and deserves the big events. I love the video in this article. My thoughts exactly. 40+ and still going strong. That is a great career for sure. Fantastic career and well deserved. Looking to read more about him on this blog.